Earlier, we released a tech tip to highlight the issues with the 2006-2014 VW Jetta diesel compressor, 6512609. We noticed that this compressor was experiencing compressor drive pulley issues. The compressor drive pulley sheered between the clutch and drive shaft of the compressor, as they are designed to do if the compressor fails. The compressor pulley then runs free so that the engine can still operate and drive the vehicle. We found that this was occurring due to the wear on the alternator decoupler over time, which generated a whiplash effect when the engine decelerated. The worn alternator decoupler created extra tension on the compressor pulley, causing it to shear. 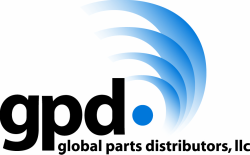 In an effort to design a better compressor, gpd has improved the compressor drive pulley by adding extra strength and support to the compressor pulley to help ease the extra tension caused by a worn alternator decoupler. We still recommend that you replace the alternator decoupler pulley when replacing the compressor, but the newly redesigned compressor clutch should give more support if the compressor experiences extra tension due to the diesel engine whiplash effect.